Home » Blog » Learn » What is a Predictive Dialer? When dialing a number manually, delays are typically caused by the phone continuously ringing while the caller does not answer and by the actual action of dialing the number. These problems are why researchers came up with a solution known as predictive dialing. If you have heard of robo dialers or auto dialers then you may also have heard of predictive dialers. Predictive dialers work in a similar way to autodialers with some slight differences between the two. A predictive dialer begins with a long list of telephone numbers that it is programmed to automatically dial. If a call is answered, then the call will be switched over to a human agent; this usually occurs within 3 seconds of answering. This is to minimize time wasted on humans placing phone calls one at a time. The predictive dialer uses an advanced algorithm to send out these calls at a rate that is meant to minimize the time that an agent waits to speak to the customer. The algorithm changes based on the number of agents available, so the possibility of someone answering and not being connected to an agent is also minimized. Predictive dialers can also screen for voicemails and busy signals. These predictive dialers call multiple numbers at a time and use call metrics to predict the best time to send the call so that an agent will be available to answer. The intention is to maximize the number of calls that get connected to an agent in a day. An agent can possibly manually dial a customer and wait about one minute before getting an answer. The predictive dialer, however, calls several numbers at the same time and only those that are answered with a “Hello” will take up the agent’s time. 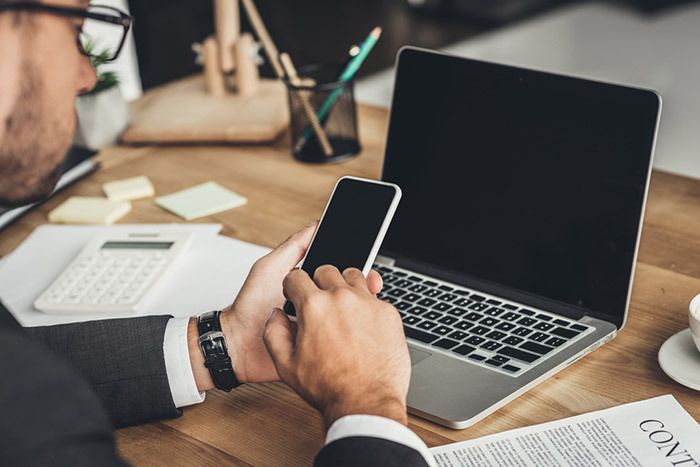 The predictive dialing formula usually lasts about three seconds before an agent is connected with a customer on the other line. These dialers began nearly 30 years ago to make it easier for the banking industry to pursue debt collections. Predictive dialers began as hardware, but they are now available as an easy-to-set-up software. Many companies choose to use predictive dialing software for the reduction of up-front costs and IT expenses; they provide excellent cost savings, while the technology can be immensely time-saving. Another reason many companies choose to use predictive dialing software is that it is easily integrated into Customer Relation Management systems or CRMs. When predictive dialers are working flawlessly, they provide agents with a constant flow of phone calls. Telemarketers and customer service agents can save a lot of time because manually dialing takes up to 30 seconds per call, and there is no guarantee that the phone call will be answered. Predictive dialers don’t just call multiple lines at once; the metrics can even calculate how long the answered phone call will most likely last. That way, agents can finish one phone call and immediately be switched to the next caller. Many companies take advantage of predictive dialing services. As previously mentioned debt collection agencies started the predictive phone call hardware and still use it today. Other businesses that use predictive dialing software tend to be in customer-service, market research, or telemarketing. Not every company will find that predictive dialing is right for them. If your company is focused on creating customer relationships rather than quickly collecting a debt, getting fast answers, or solving an issue, then predictive dialers won’t work well. The mission for predictive dialers is to have a high turn-around; not to discuss important details on high-cost products and services. However, if your company is in the business of selling everyday products or services, then you might find predictive calling a very effective way to see results. Agent productivity is especially effective when choosing to use predictive dialing software. The drawbacks of high volume calling do not allow enough time to find out any real information. Although the efficiency of agents rises and the number of calls increases, there is a lack of background information that can be found. This means that agents will not be able to prioritize leads. The FCC has also banned auto dialers that do not have pre-authorized approval by the people the company is attempting to reach.